I always dream to have my own domain like Vivy Yusof or Raja Nadia Sabrina or Dalilah Ismail blogs. 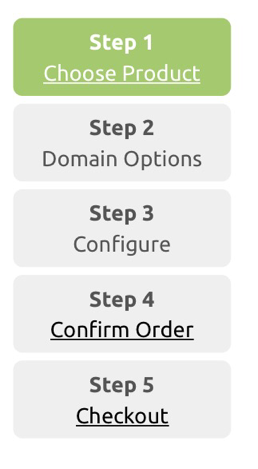 Before this , I do search about " How to have your own domain " . All I found was a very expensive fees to have own domain . Today , I've read about " domain " from one nice blog page owned by Erin Azmir and my close friend Siqah . They shared how can get our own domain with an affordable price . 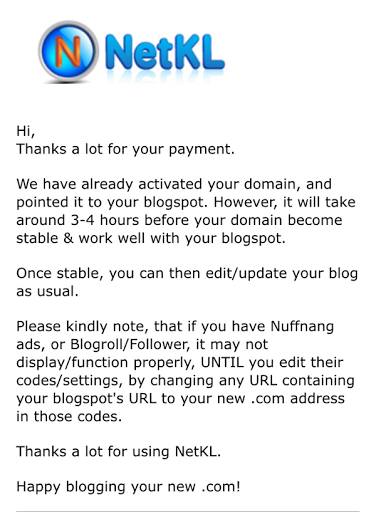 After read about it , I immediately applied it from netKL to have my own domain. 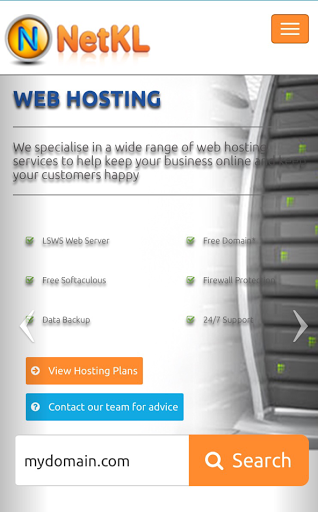 2) At the website navigation menu bar click on Domain > Custom Domain Services > Use at Blogspot. com ( without email package ) or Use at Blogspot.com ( with email package) . 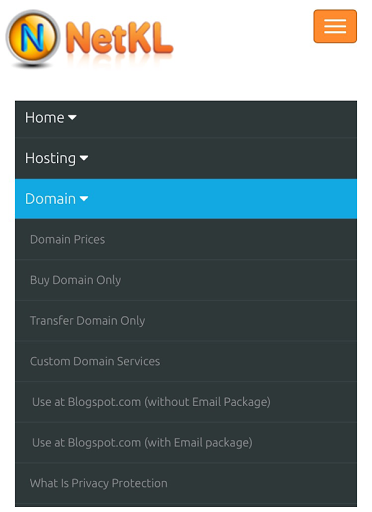 Use at Blogspot.com ( with email package) - can create your email ID . 4) After make a selection , click order now . Then just follow all the steps as per below picture. 5) Once you made a payment . You will be receiving as per below email . 6) After few hours , walla . Your domain is ready !!!! Yeay!!!! I feel so happy . Importantly , I need to try to update my blog everyday . Hihihi . Insyaallah . Whoever need a domain . You can ask assistance from netKL. They provide cheaper fees and fast service . Congrates dear for your own domain 😊 Haiii, mek bile la pulak. waaaa. jelesss. Gonna buy my own domain soon. tahniah dh ada domain sndiri..
Aah betul tue JM . Rm48 every year .